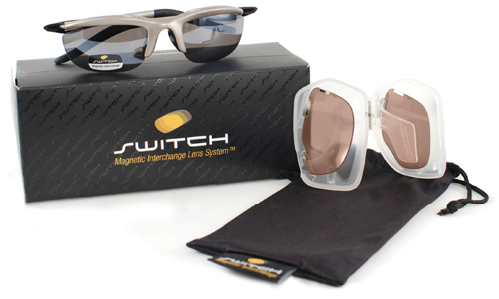 When conditions change, Switch lets you instantly swap in the lens you need with the world’s first Magnetic Interchange Lens System™. It’s the ideal solution if you need Rx lenses one day but not the next, or if your day takes you through changing activities and light. It's everything you need to quickly and easily adapt to changing light conditions. © Copyright 2019 Switch. All rights reserved.